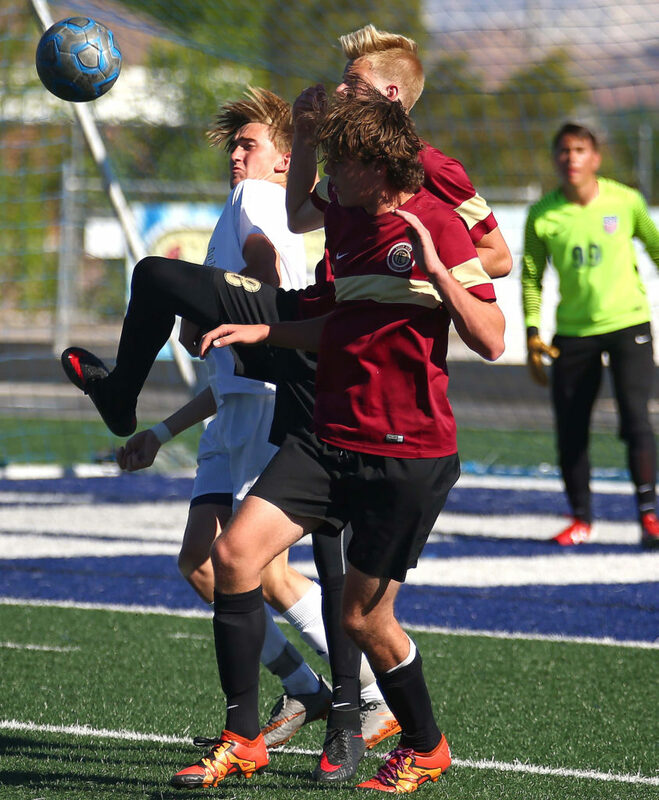 ST. GEORGE – Snow Canyon knocked out Ben Lomond in the first round of the playoffs with a 2-0 shutout Thursday evening. And as it turns out, the Warriors were the only team from Region 9 to win their game in the first round of the 3A playoffs. The Dixie Flyers, perennial contenders and three-time champs, entered the first round with confidence, playing at home and having already defeated their opponent, Logan, earlier this season. The No. 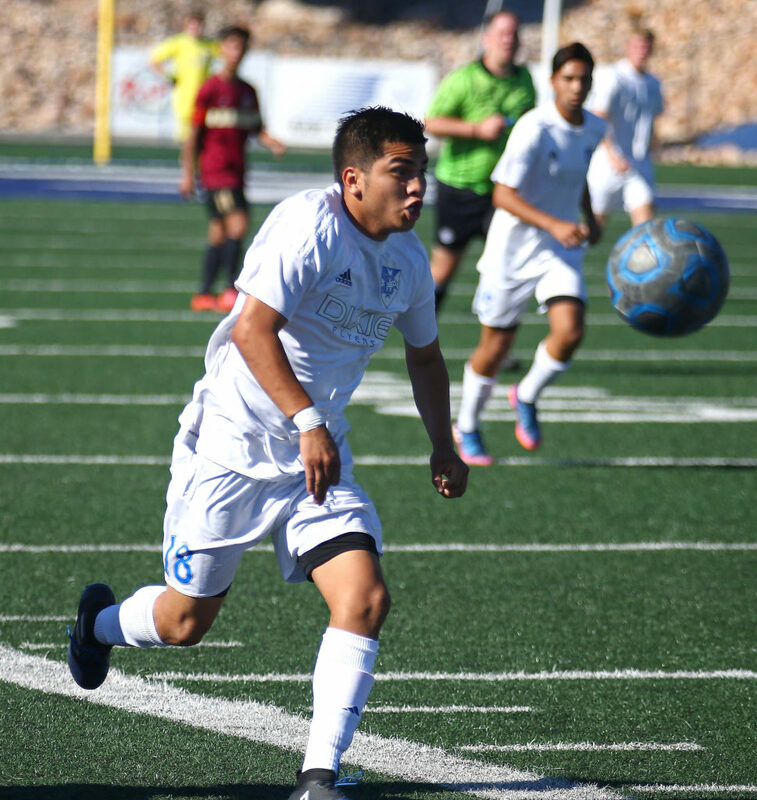 2-seeded Dixie scored five goals against the Grizzlies back in mid-March in a 5-2 blowout. But it was a different story this time, with Logan recording a 2-1 win at Walt Brooks Stadium. Desert Hills, the No. 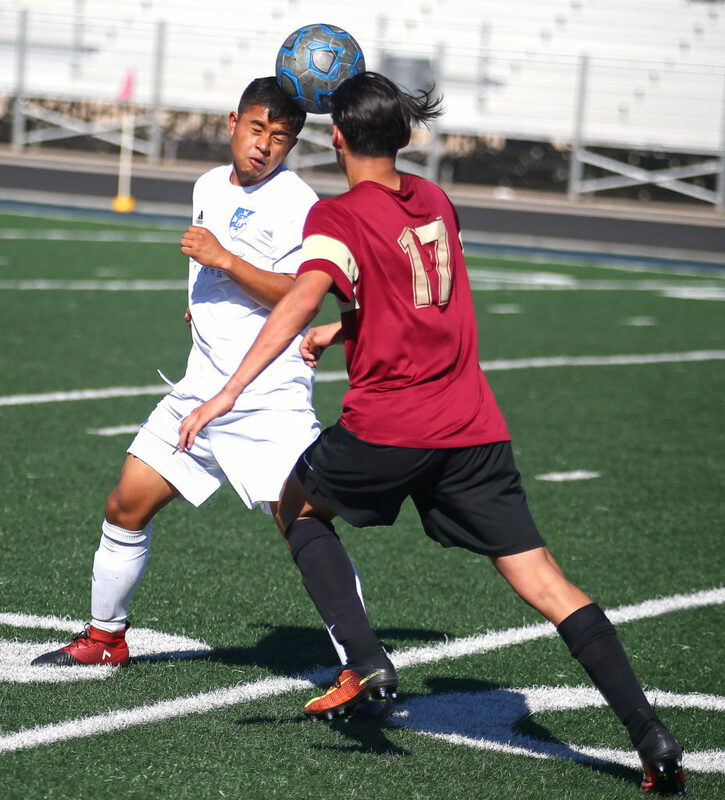 3 seed from Region 9, traveled to Draper to battle defending champion Juan Diego and the Thunder couldn’t get their offense jumpstarted in a 2-0 loss. 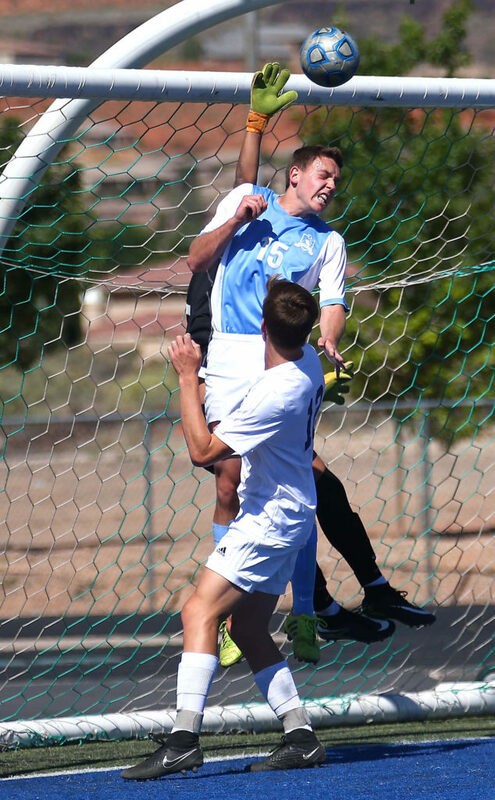 The biggest heartbreak of the day may have been for Region 9’s No. 4 seed, Cedar. 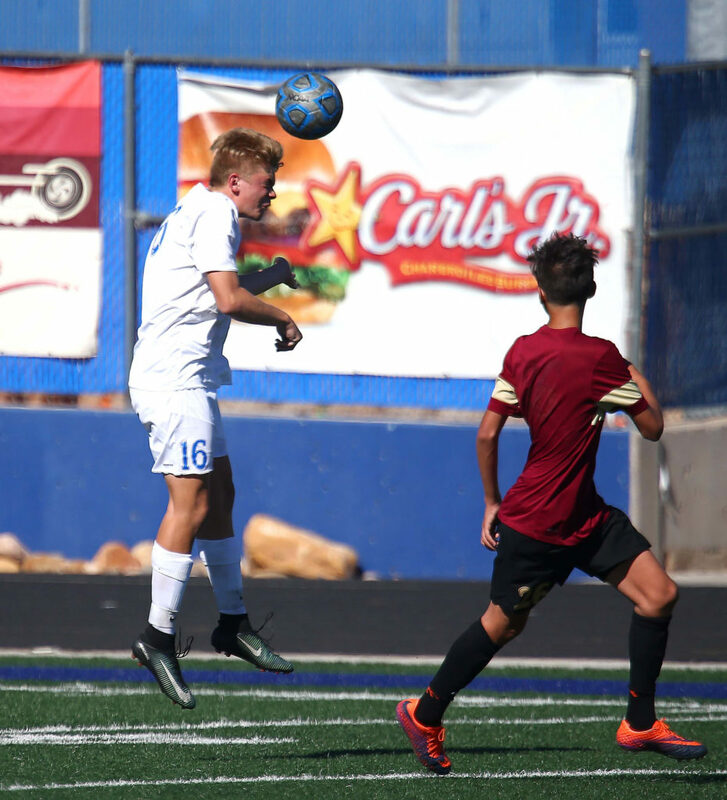 The Redmen led 2-1 the entire second half, until the closing minutes, when the top-seeded Ridgeline Riverhawks notched two late goals to thwart the upset. After the dust had cleared, Region 9 emerged with just one team left in the pursuit of the 3A state title. And even the top-seeded Warriors had their difficulties against No. 4-seeded Ben Lomond. 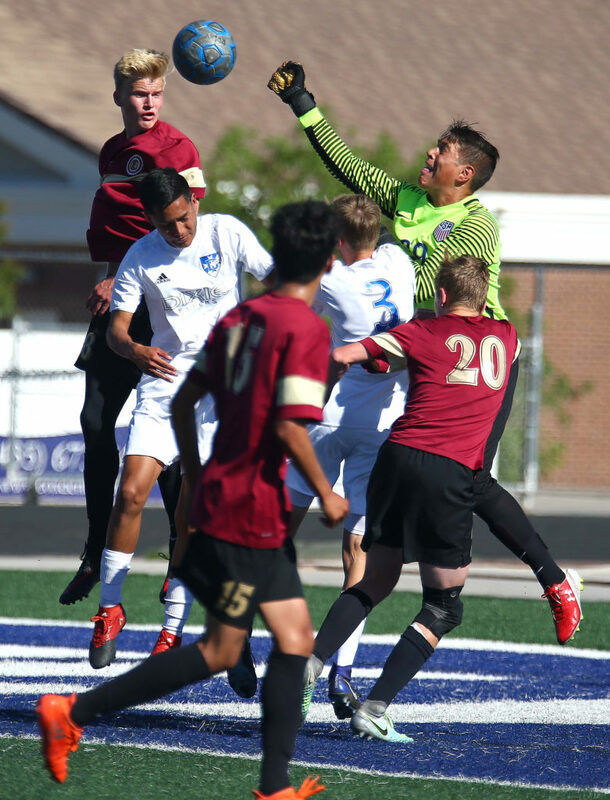 Warriors head coach Marc Wittwer was pumped about his defense throughout the game as Quinn Hargis recorded another shutout, his fifth complete shutout of the season. 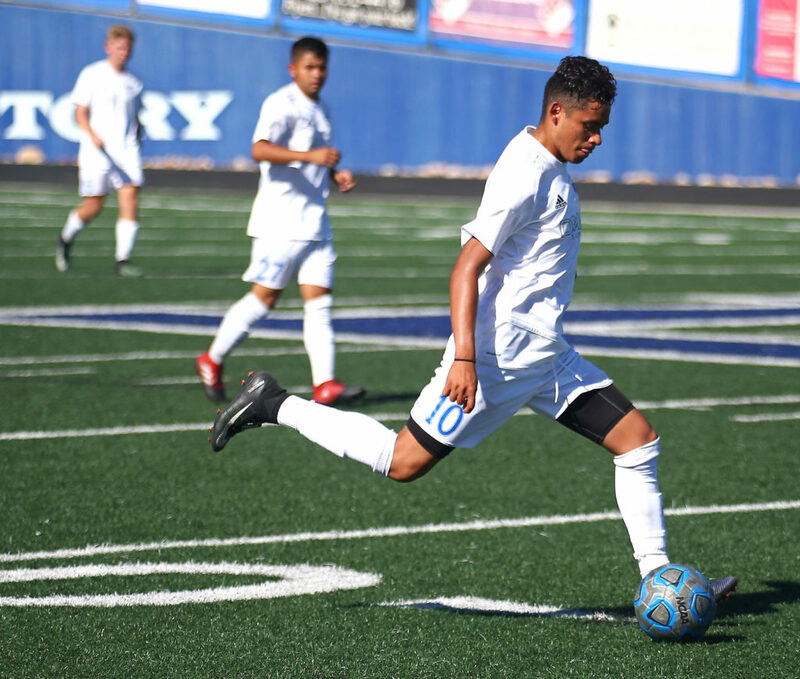 Kadin Dorius scored a goal (his first of the year) on a pass from Yetzel Carrillo on a free kick early in the second half. But Wittwer was more impressed with his defense. The Vichi brothers, Axel and Richard, helped get the second goal. Axel got the assist, while Richard recorded the goal. The duo have teamed up on five goals this year. 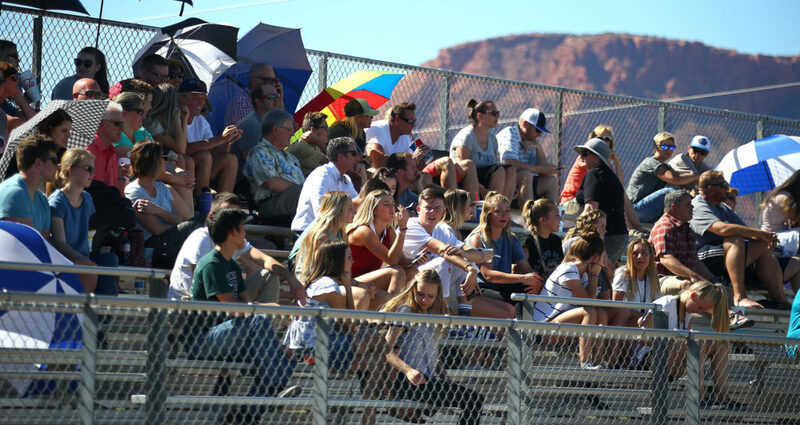 Snow Canyon, 13-2-2, will play third-seeded Tooele, 5-8-2, from Region 10 Saturday at Snow Canyon High. The match is set to start at 1 p.m. 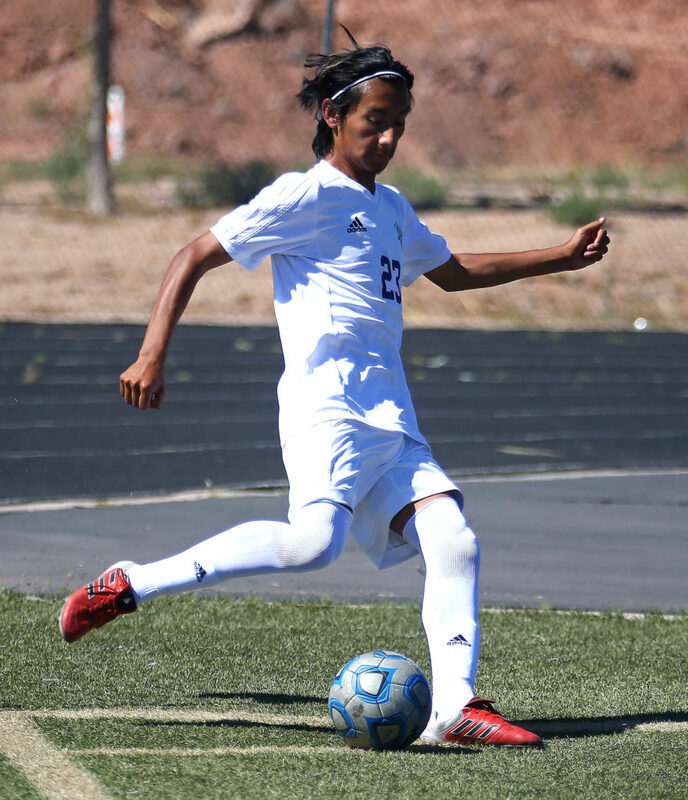 The Buffaloes scored a mild upset by downing Region 11 No. 2 seed North Sanpete Thursday. Tooele started the year 0-5, but has gone 5-3-2 since then. 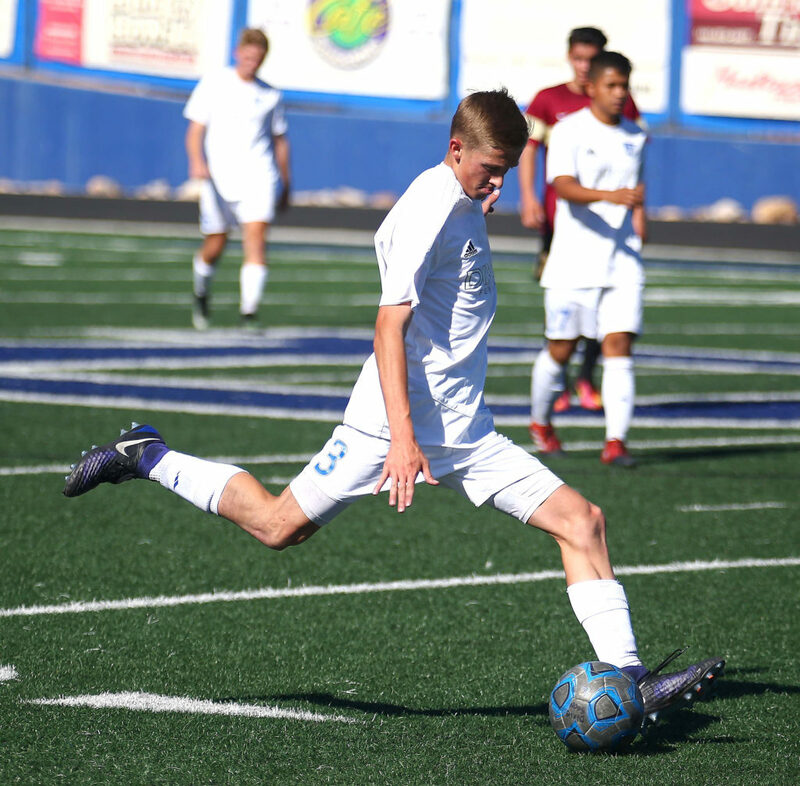 Snow Canyon is 9-0-2 in its last 11 games and has not lost a match since Mar. 21. 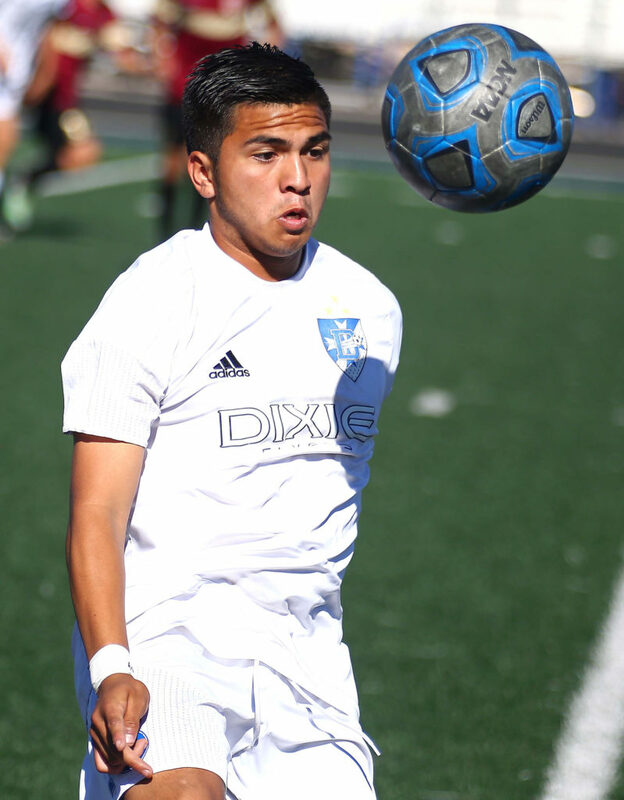 Logan bounced Dixie early in the playoffs with a 2-1 upset win on the road. 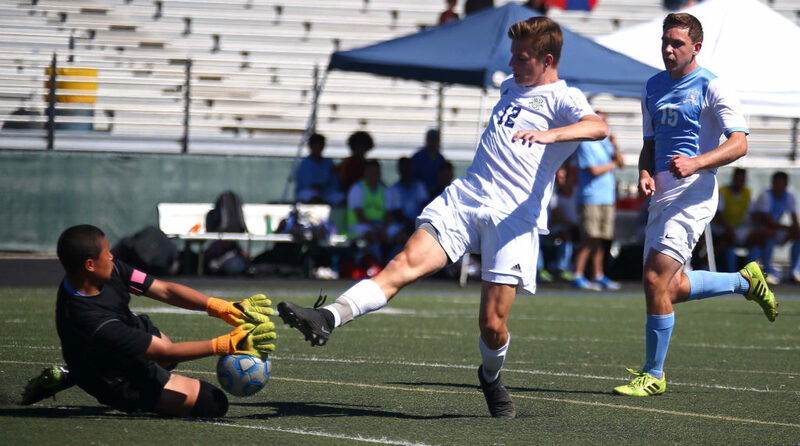 The Grizzlies scored early, but Dixie matched it, only to give up a penalty kick for what was the eventual game-winning score. Logan head coach Sven Rasmussen was elated with the win, especially considering the Grizzlies lost earlier in the season to Dixie. Dixie head coach Burt Myers was impressed with Logan’s play. Morales was devastated after the loss. He is only a junior, so he will be back next year. Myers always said how he has a young team, so the future is bright. 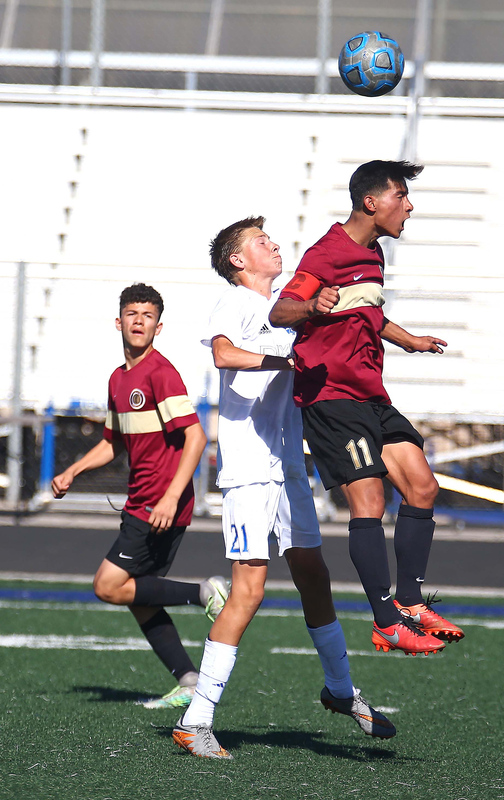 Logan (8-6-1) will move on to play Canyon View (14-2-0), Saturday at 1 p.m. in Cedar City. 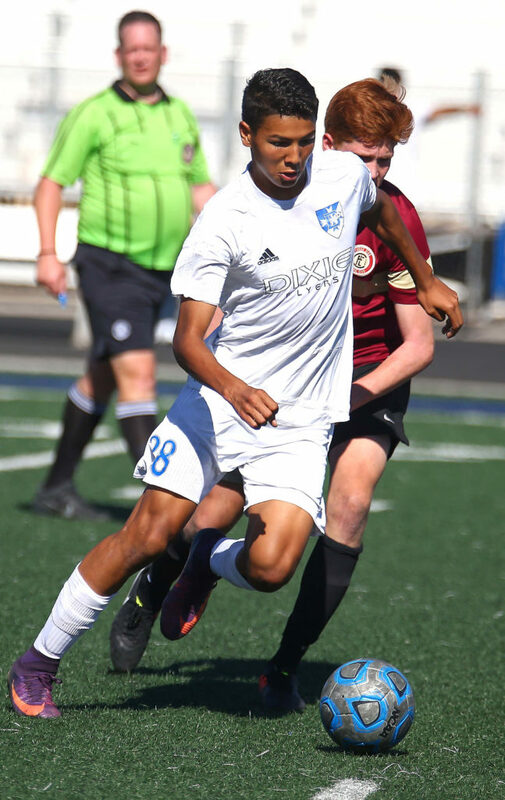 The Falcons, Region 12’s champion, got a goal each from Daniel Velasco and Trevan Wade in a 2-1 win over the Union Cougars Thursday evening. 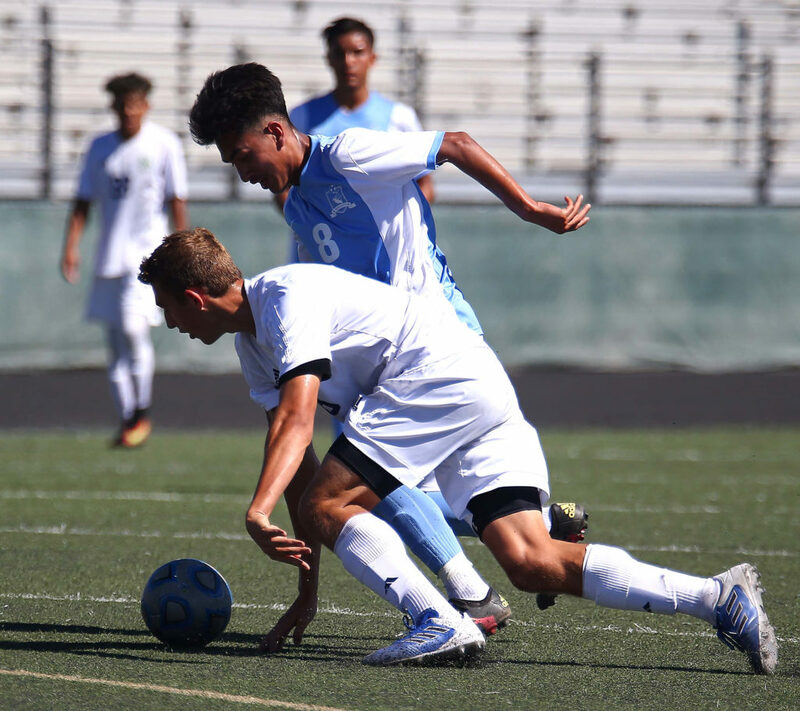 For the Flyers, who finish the season with an 11-3-3 record, it’s the first time they have failed to make at least the quarterfinals since 2009, when they were competing in the 4A ranks. Dixie won the 2012, 2014 and 2015 state 3A titles. The Thunder couldn’t get the win on the road against the defending state champs as the Soaring Eagle move on to the state quarterfinals. 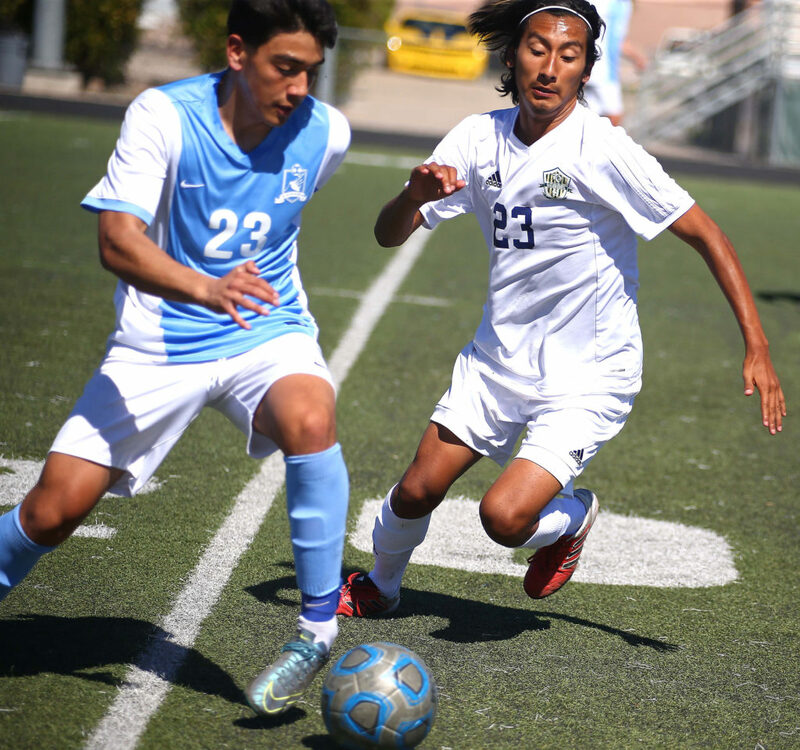 Matthew Lilien and Ruben Castillo scored the two goals for Juan Diego. Lilien pounded home a rebound in the 27th minute to break the scoreless tie. Just before halftime, Castillo scored on a cross from teammate Jered Mariani for Castillo’s 17th goal of the season. The net-finder made it 2-0, too big a hole for the Thunder to climb out of. Soaring Eagle goalkeeper Martin Kelly recorded his sixth complete shutout of the season. 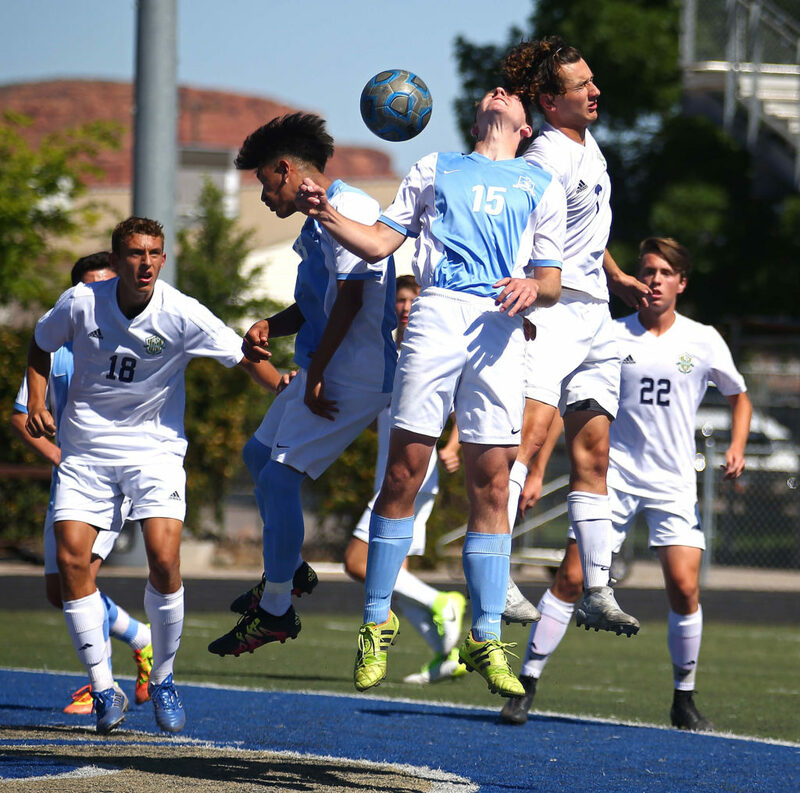 Juan Diego also ousted Desert Hills from the playoffs a year ago, a 3-0 quarterfinal victory, also in Draper. 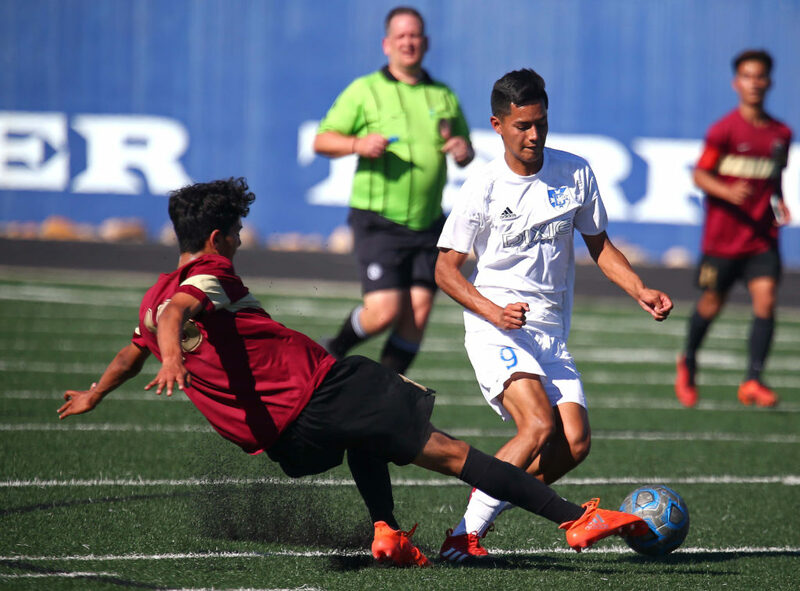 The Thunder, 11-6-0, had several golden scoring chances in the second half, but Kelly and the JD defense maintained the shutout until the final gun. 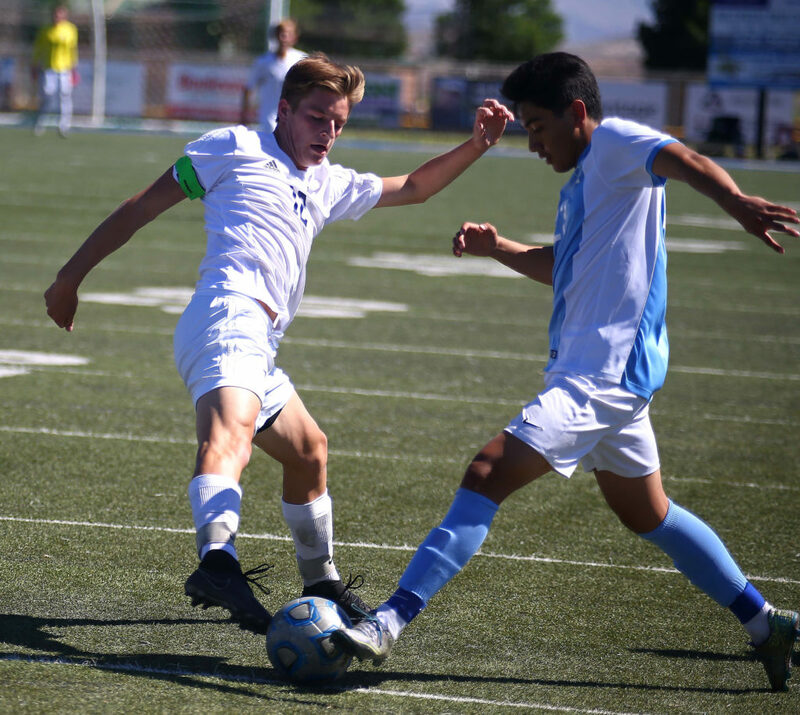 Juan Diego (13-3-0) will move on to play at Park City (10-3-1) Saturday at 1 p.m. 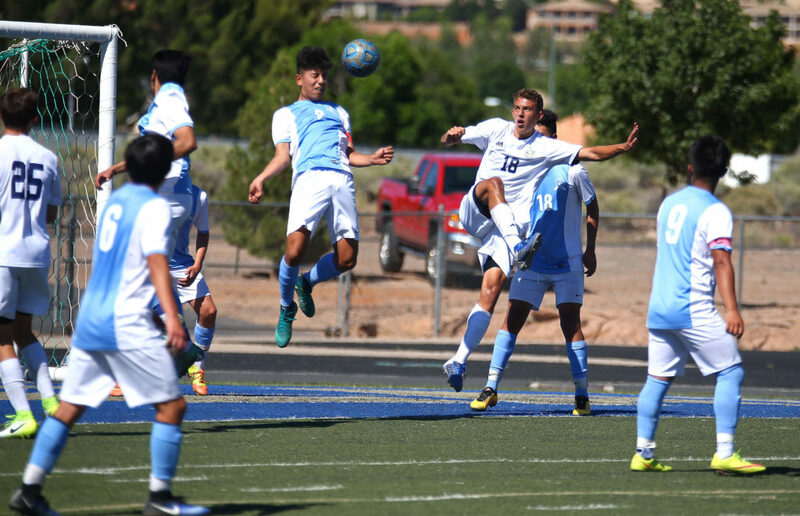 The Miners blasted Carbon 8-0 Thursday evening. It’s been a recurring theme for the Redmen this year: Tough defense, a slim lead, then a crushing ending. Cedar led Dixie (twice) and Desert Hills in the second half and led early against No. 1 seed Snow Canyon before falling in overtime to the eventual Region 9 champs. Those three gut-wrenching losses dropped the Redmen low in the playoff seedings, but Cedar was not intimidated against the Riverhawks. 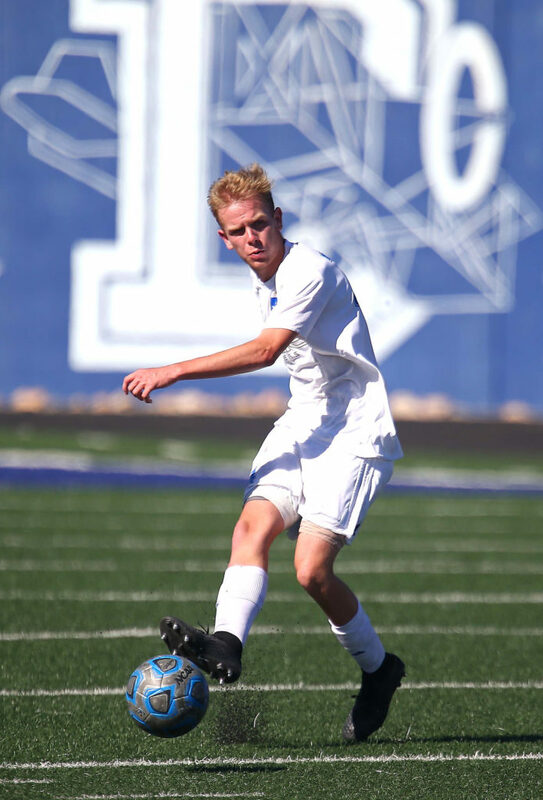 Ridgeline led 1-0 15 minutes into the match on a goal by Houston Gualtier, but the Redmen countered with goals by Ethan Fletcher and JD Beacham in the last 17 minutes of the first half to take a 2-1 lead into halftime. 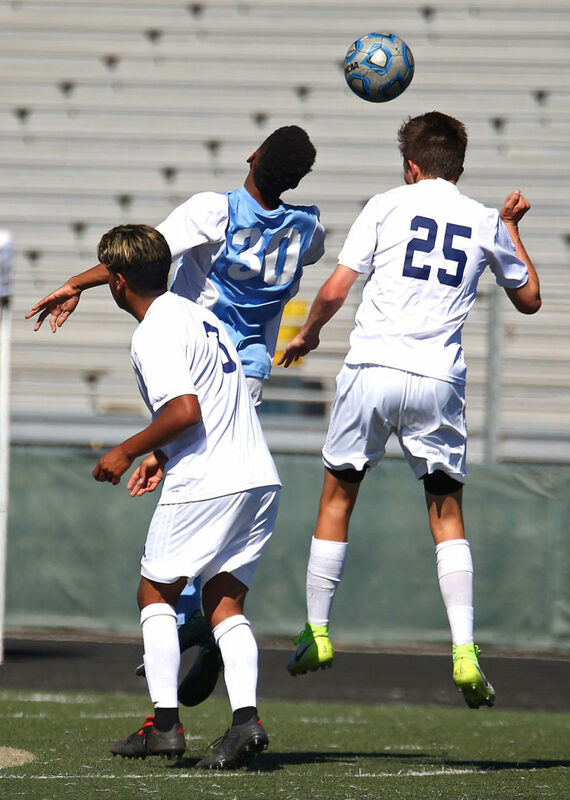 It stayed that way until the final minute of regulation time, when the Riverhawks finally got the equalizer on a goal by JC Vazquez. The second half featured physical play by both teams and seven yellow cards were handed out after intermission. Two of those were given to Beacham, forcing him to sit out the final 15 minutes of the game. 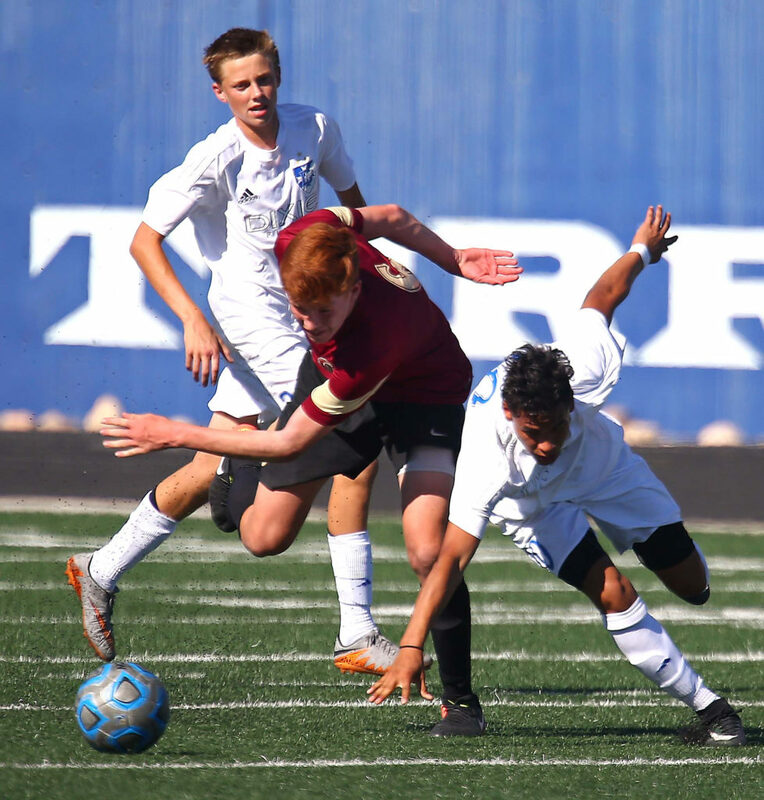 It also meant that CHS had to play a man down the final 15 minutes. The rash of cards also created a lengthy stoppage time, which was bad news for the Redmen. Riverhawk Scott Sorensen headed the go-ahead goal in about seven minutes into the extra time. Three minutes later, the No.1-seeded Ridgeline squad celebrated at the referee’s final whistle. 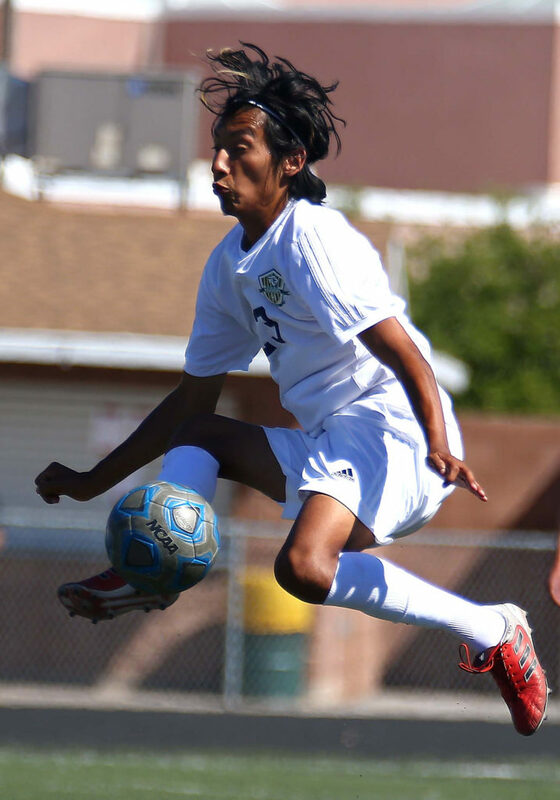 Ridgeline (12-2-0) will move on to play Stansbury (8-2-5) Saturday at 1 p.m. in a quarterfinal match at RHS. 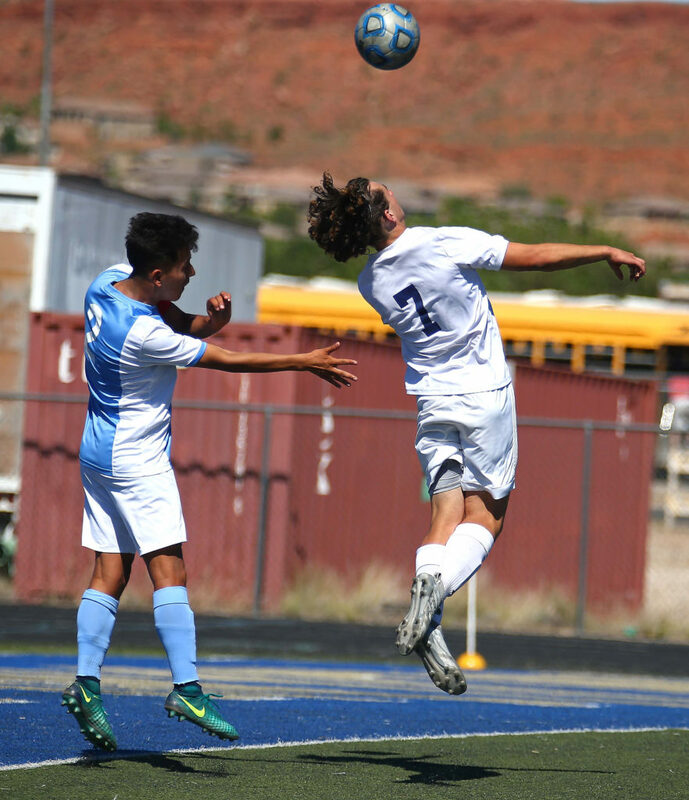 The Stallions beat Juab 5-0 in Thursday’s first round. 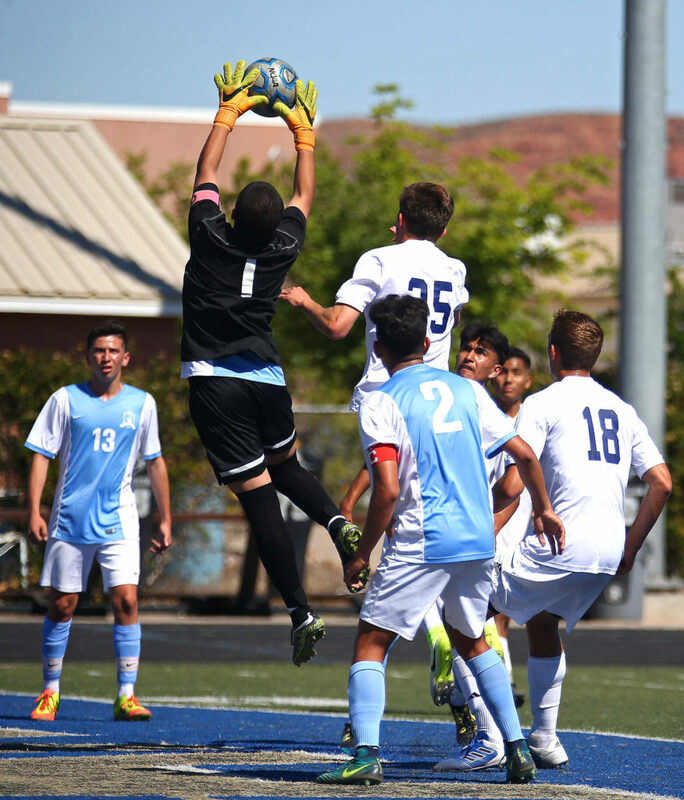 Cedar, which ends the year with a 4-13-1 record, lost 10 games this season by a single goal.